Bigtimerz - Ugandan pop star to be jailed 10 years for making a p0rn music video? 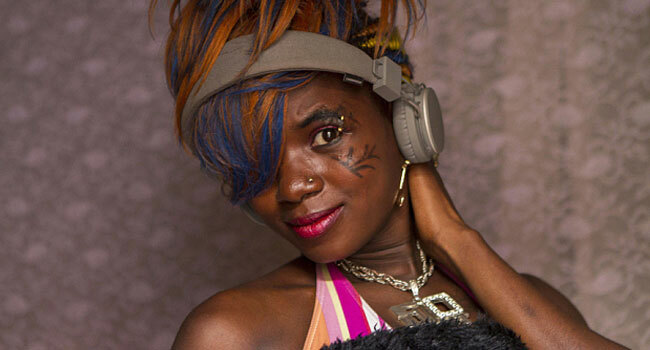 Ugandan pop star to be jailed 10 years for making a p0rn music video? Jemimah Kansiime is a 21-year-old Ugandan pop star who could be facing up to 10 years in jail. Her crime? Releasing a music video where she's dancing around in soapy underwear. Kansiime, who sings under the stage-name 'Panadol wa Basajja' (meaning 'medicine for men') has already spent five weeks in jail, after she was arrested for breaking a new anti-p0rnography law. She's now out on bail awaiting a trial that could see her imprisoned until she's well into her thirties. The case is absolutely shocking. It's true that Kansiime's video is pretty s3xy – the camera zooms in on her th0ng and YouTube has made it an age-restricted video. But it's certainly shouldn't be classified as p0rn - which is typically defined as the portrayal of s3xual acts, for the purpose of s3xual arou$al. Kansiime's sole purpose is to promote her music. Nothing about it should be seen as criminal. If anything, it looks more like Kansiime is a victim of an industry that loves to s3xually objectify women. She's doing exactly what international pop stars do on a daily basis, or are 'made to do' depending on your view. It's no surprise that her music idols are women like Rihanna and Nicki Minaj, who have made videos that are far more risque than Kansiime's. Indeed, we're so familiar with the argument over pop stars' videos being 'inappropriate' that it would be tempting to overlook this case. But a young woman's freedom is at stake. We simply can't. "When I was making that video I never intended it for children, I intended it for adults. I did not sell or distribute the song," Kansiime told AFP. "My rights have been trampled upon; my freedom of expression has been trampled upon." The problem is Uganda's new anti-p0rn0graphy law, which just came into effect in February 2014. They have been widely condemned by organisations such as Human Rights Watch, who say p0rn0graphy is defined so loosely that the law has encouraged public attacks on women wearing skimpy clothes. indeed, last year, people translated it as meaning a 'miniskirt ban', which led to serious attacks and arrests on women wearing short skirts. But nothing has changed since then and this potentially dangerous law still exists. Kansiime's upcoming court case will be the first full trial to take place under it. The whole situation is incredibly concerning. Kansiime is facing the trial because she pleaded not guilty when arrested, while her then-manager Didi Muchwa Mugisha – who posted the video on YouTube – pleaded guilty. He was told to pay a $75 (£49) fine and escaped jail entirely. While Kansiime, who stood by her beliefs, is now facing devastating consequences. She has since said that she "was aware that there are some sections of society that are conservative", but she never dreamt that the video would be considered criminal. It points to a huge problem in Uganda - a country that recently ratified [email protected] [email protected] laws. Religious-driven conservatism is on the rise to the point where women and L*G*B*T persons aren't just discriminated against, but are often in serious danger of losing their lives. This is the most frightening part of all. Because, although the laws come directly from the Government, they're often enacted by the public, via mob attacks and homophobic assaults. The tendency for public justice is evident in this case too. There has been no widespread defence of Kansiime. 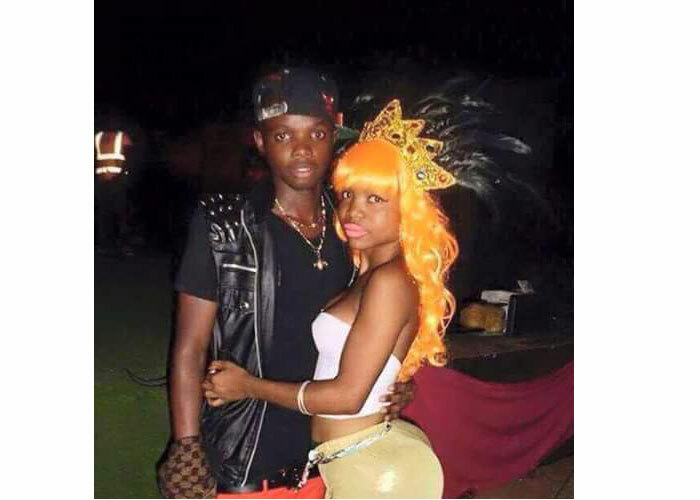 Instead Ugandans have taken to social media to criticise her video and call her a 'pro$titute', 'dirty' and 'vulgar'. "I have only one advice for this lady and her producers, can they look for a country where p0rn0graphy is allowed and openly [enacted] instead [of] painting the image of Uganda and Ugandan musicians [as] dirty like this," writes Ercogwal Konyipe on YouTube. "Disgusting." "I am not happy and [pleased with] what she did [in] her video," adds Sam Chemutai. "Indeed this woman needs prayer, let all Ugandanese stop copying western culture, let them respect [their] culture, and do what is good for them and the public." User Atukunda Joseph summed up the general feeling, in this chilling sentence: "Jail her no problem." Kansiime's fellow citizens are not supporting her and railing against their anti-p0rn laws; they're doing the opposite, and they're proud of it. It means the rest of us, around the world, should stand up for her. It may not lead to immediate change or justice, but at the very least it shows Kansiime that we believe she should not go to jail for something Western pop stars do every day. Standing by Kansiime proves that even if her countrymen cannot see her innocence, we can.